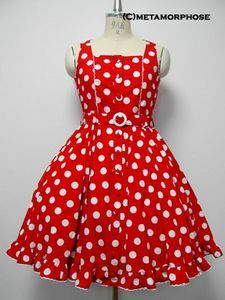 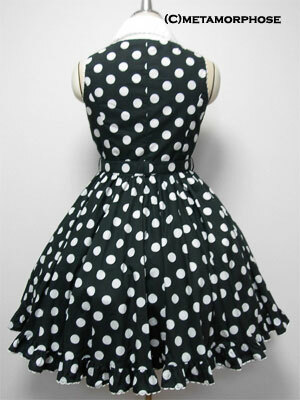 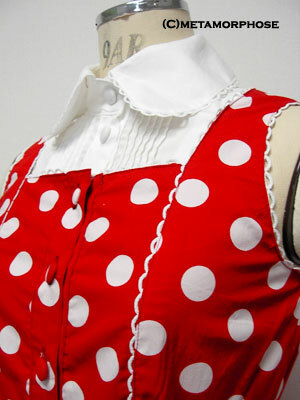 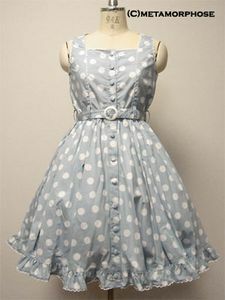 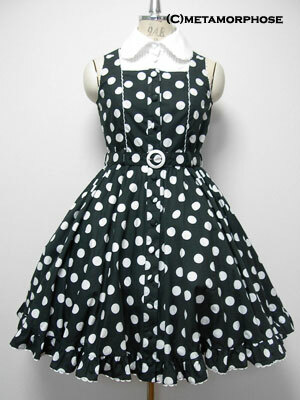 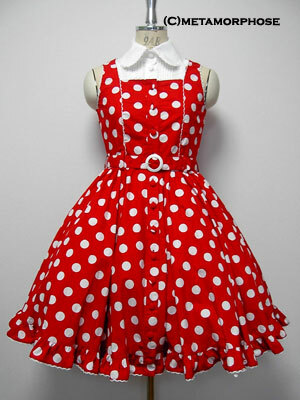 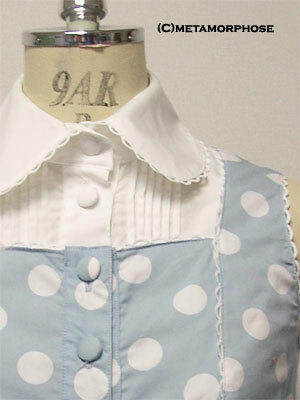 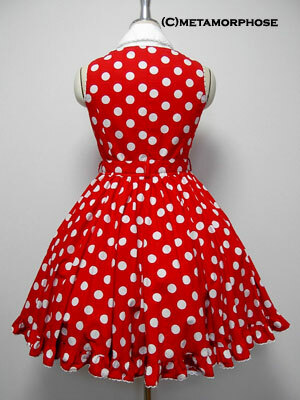 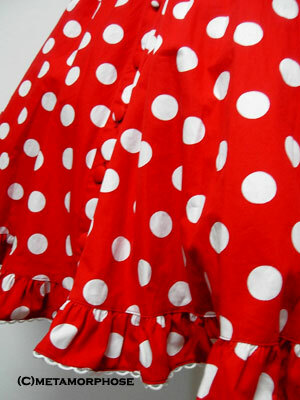 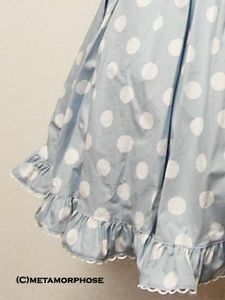 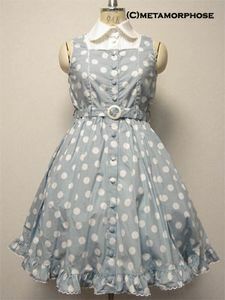 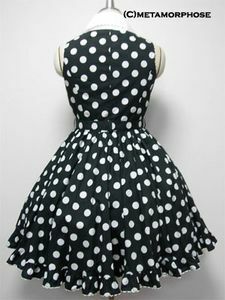 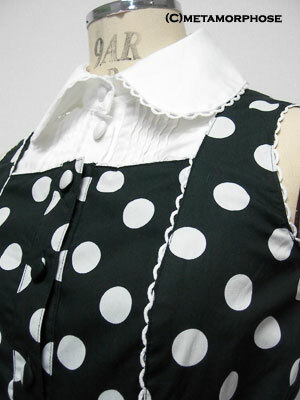 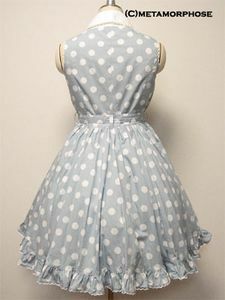 [Styling] Lining in bodice only, button up front, comes with 2 spare buttons Rerelease of a design from 2003 (item number 320409) but dot pattern is slightly different; all dots are the same size on this fabric. 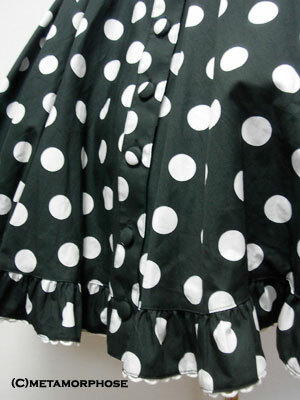 Also released in solid black fabric (item number 710511). May be ironed at 80-120°C if a cloth is placed between the garment and the ironred version: have hand-washed, machine washed in a front loader, and ironed without cloth.